The words that come to mind for this meal are “fresh” and “hearty” – not two words that you often put together. The salsa is so fresh and delicious. The polenta is creamy and full flavoured. It is a match made in healthy vegetarian heaven. Not only is it a rainbow on a plate, it is a divine meal after a good workout. Polenta is quick to make and makes a beautiful base for all sorts of meals. The spices in the polenta take it to another level. Yummo. 1 tbs fresh coriander leaves, torn, or 1/2 tsp dried coriander leaves. 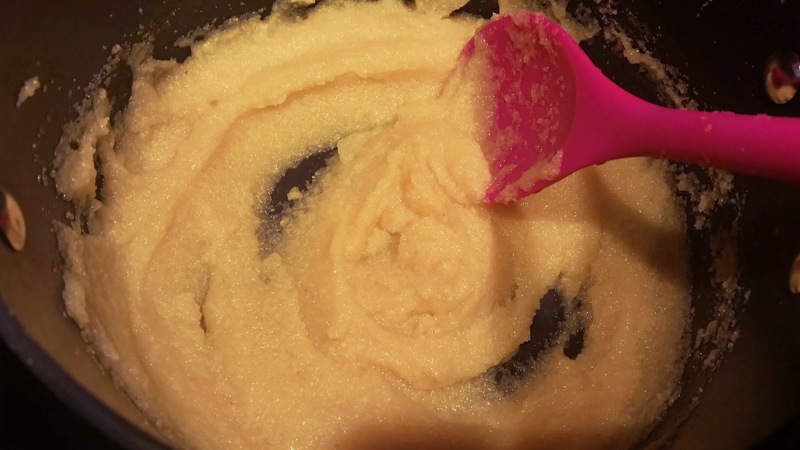 Add cream and/or butter to the polenta to make it extra creamy. Swap the herbs and spices in the polenta. Switch the black beans for a can of three bean mix or kidney beans. As an alternative, use a bit less water, then refrigerate the polenta in a tray (flattened) for 1 hour, chop into sticks and fry like chips! To make it vegan, just leave out the cheese. Bring the chicken stock to a boil in a saucepan. Add polenta slowly, stirring. Reduce to a low simmer and cook, stirring occasionally, for about 10 minutes. Meanwhile, combine your salsa ingredients in a bowl. When the polenta has thickened and the polenta has softened, make a cavern and add the spices and garlic into the pan. Once fragrant, stir through. Add the oregano and cheese, stir until the cheese has melted. 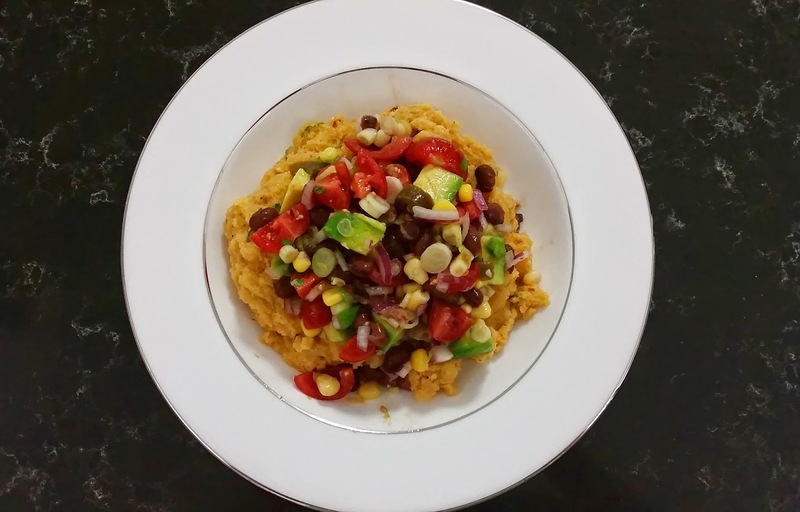 Serve the salsa on top of the polenta and enjoy!